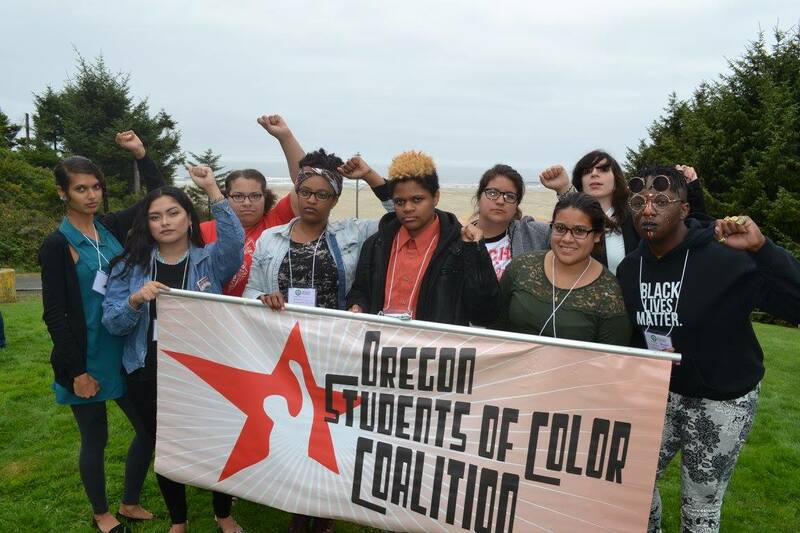 The Oregon Students of Color Coalition (OSCC) was formed at the 1997 Northwest Student Leadership Conference, where students of color came together because they felt they saw a lack of response to racial injustices in education. In 1999 the OSCC Field Organizer was created as a permanent staff position with the Oregon Student Association institutionalizing OSCC within the organization. Over the years our capacity has grown as well as the number of victories we’ve won. Our work is rooted in the belief that education should be accessible to all and an example of our work has come through our commitment to helping pass statewide policy like Tuition Equity and working with state leaders to promote programs that benefit communities of color. Today, OSCC consists of representatives from OSA member campuses. We work on raising a collective social consciousness that will advance a social justice agenda because we understand that this will address both current and historical institutional racism. We further understand that we are only able to combat racial injustices on our campuses and in our communities through the development of our peers. Which is why every year, the board puts on the Oregon Students of Color Conference, where hundreds of students from across the northwest come to gain skills necessary for successful grassroots organizing, to learn about issues affecting their communities and are empowered to take action.